I have worked with a few clients recently who are perplexed about Facebook. They wonder if it’s worth bothering with it at all. They find it time-consuming and frustrating , with its endless algorithm changes and fluctuating rules about what constitutes “engaging” content. Indeed it can be a minefield so I looked into why they were so unhappy. And here is what I found. Through their various stages of frustration and despair, they were making some classic mistakes which Facebook will never thank them for. 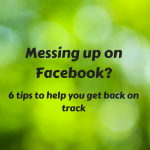 So, if you want Facebook to work for you, do not make the following 6 mistakes. Sometimes people have too much to say. Luckily Twitter is restrictive but I have seen many Facebook posts that could win an essay competition. If you are passionate about your topic, it’s easy to get carried away but you have to remember why you are writing a post at all. It’s not a brain dump or a therapeutic session to get all of your ideas down in 100 words. The purpose should be to educate, entertain or engage me in some way that makes me take a positive action. 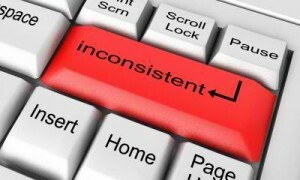 Pressing the delete button is not a positive action. Keep posts under 80 characters. 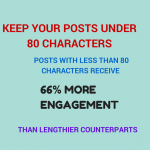 Posts with fewer than 80 characters receive 66% more engagement (likes and comments) than lengthier counterparts. This generally happens because there is no content plan. As with any type of marketing, there has to be a plan so that you can measure whether or not you are achieving your goals. Posting the same type of content will not make your followers excited. They will switch off. Content has to be varied and fresh and remember that social media is about being social. 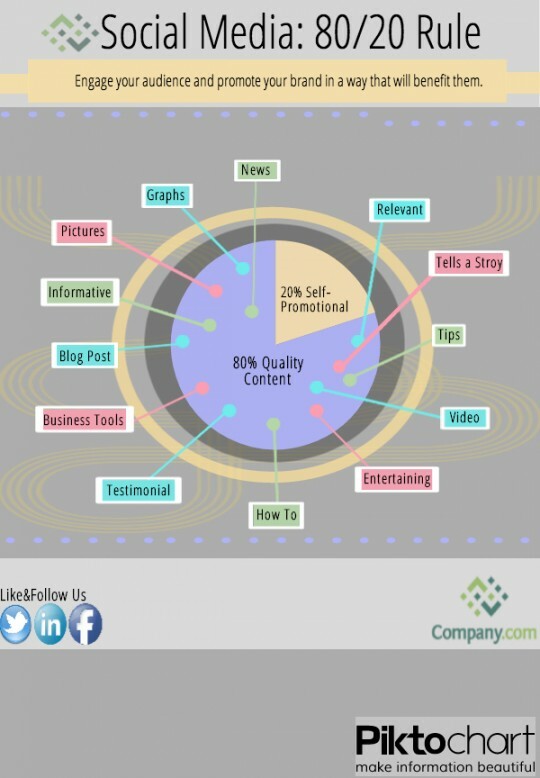 80% of what you post should be “social” and 20% about your company and services. To achieve this goal, you will need a mix of your own content, third party content, visuals, photos and a few funnies. 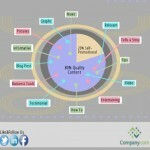 A content plan can drive this and make it easy. If you dare. 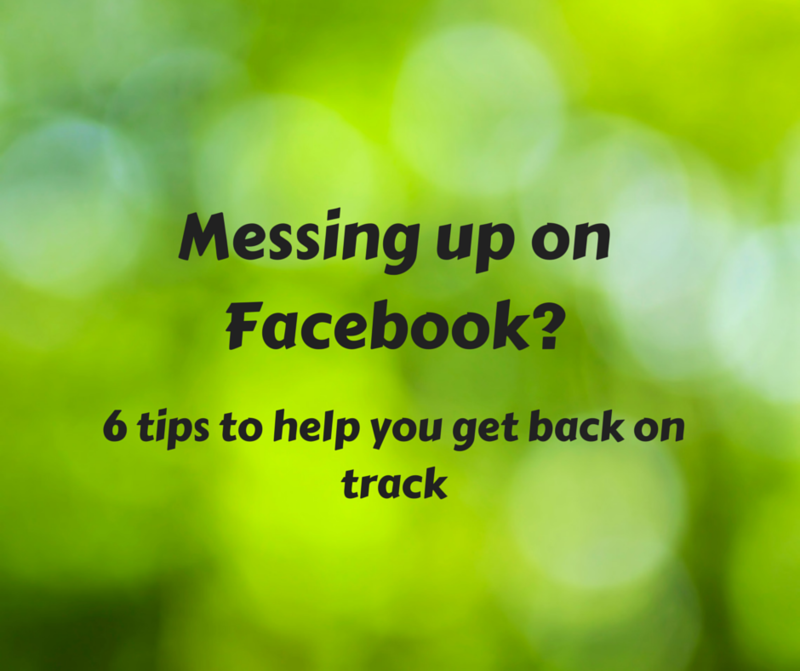 Using Facebook as a sales tool alone will not get you far. 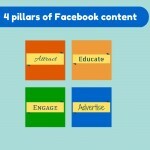 The four pillars of Facebook marketing must be observed before you can sell to me. 1. attract people first with your great mix of content; 2. educate your audience about your expertise and what you represent; 3. engage them by asking and answering questions, commenting on others content, giving advice and then giving thanks; then and only then can you 4. advertise your wares because people understand where you are coming from, they know and like your brand and they have built a relationship with you. Post away but you might not get the interaction you require. It goes back to the content plan. 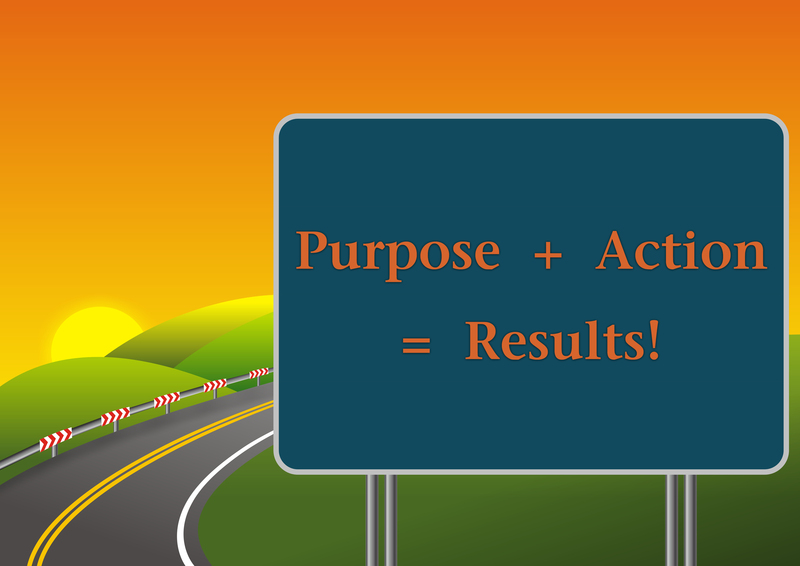 Have a purpose for your post. 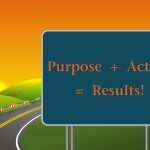 Each post should relate to accomplishing a business goal. Are you trying to make me laugh on a Friday afternoon? Are you educating me about your industry or specialised topic? Or are you putting up posts that are random for the sake of it? Think before you type before you post. If I like some of your posts or even make a comment, etiquette states that it is polite to comment back or thank me for my time. The aim of social media is to engage with people and build relationships with them, informing you abut how to deliver even better content. If you have engaged with someone enough that they have commented or asked you a question, then do respond. 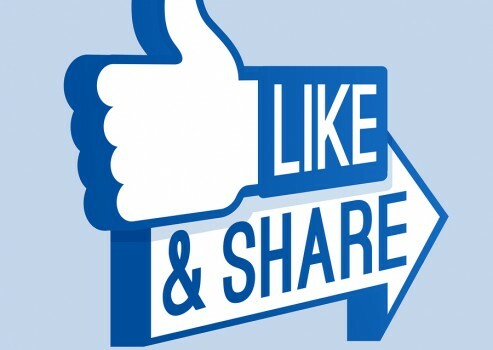 Equally, if you think someone has written a great post, then not only like it but share it. They may well share some of your content in return, driving your engagement. We can all make excuses about not having enough time to post or finding it hard to keep up the momentum but there are tools that can help you to manage that problem. Would you send out a flyer or brochure in the mail just once , take out a single advert in the local paper or send one email as part of your targeted marketing campaign? It’s unlikely that many people would actually see your efforts or take action on them. Marketing, whether off-line or on-line, is not a one off activity. It needs a consistent approach to be effective. 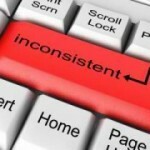 Being consistent and posting regularly (and at the right time) on Facebook will help to get you results. 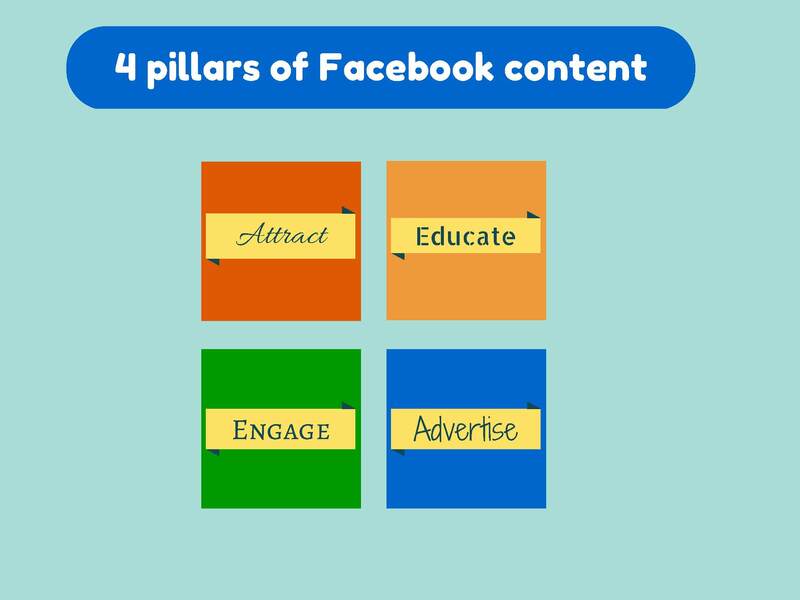 Having a strategy for why you are posting on Facebook, planning the type of content you are going to share and then sharing it consistently will not only engage an excite your fans, it will excite Facebook too. Of all the social media tools I use, Twitter is the one that consistently turns up trumps for me. It helps me find experts, it connects me to experts, it lets me speak to experts who I have never met. 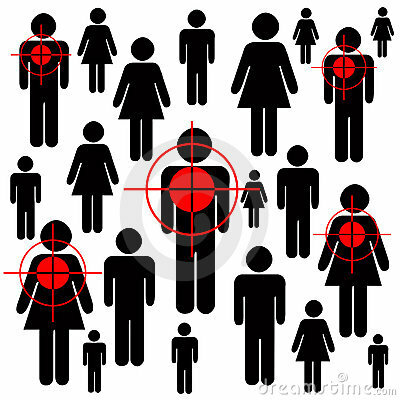 I can target markets precisely, I can target companies precisely, I can target individuals precisely. It’s instant, it’s current, it’s responsive. This infographic sums it up. Nothing expresses your brand on Twitter more than your account name. This name appears next to your tweets and is the name that people associate you with on Twitter. Use your own name or your business name and be sure to make use of the two images you can upload. One is your profile photo which will appear next to all of your tweets and the other is a background photo where you can upload your company logo or other relevant images. I often find in training sessions that people have not completed their Twitter profiles or have had a half-hearted attempt at it. This is the most important element to get right from the start. This is your brand, your image, the window to your content. Make it engaging, interesting, succinct and pertinent. The profile instantly tells someone if they want to follow you. Who or what do you want to find out about? It could be competitors, businesses you admire, individuals you admire, experts in your field, local businesses. Decide how people can contribute to your knowledge about industries, markets, business sectors or whatever you need to know about and then follow them. If you plan in advance about why you want to follow certain people you will have a much better Twitter experience. Those good people will then follow you back and you are on your way to a productive and informative Twitter life. Of course, you have to have something to say. Don’t use Twitter as a platform to sell your wares. Use Twitter as a chance to share your own expertise and that of people you admire. It might take a while to find your voice on Twitter. Maybe start by commenting on relevant topics or events you come across, re-tweet other people’s tweets that you find valuable or offer to help someone if they have asked a question. Practice and see what response you get. Keep things simple. As well as joining in conversations and re-tweeting, the most valuable thing you can do on Twitter is provide great content. If you write a blog, make sure you tweet about it, not just to promote it, but to let people know what you are writing about. As well as your own content, whether it is a blog, white paper, presentation, podcast etc, share links to other content you have come across that you think will be valuable to your current followers and potential new followers. Always think about what your audience wants and needs and provide the right content to serve them. The aim of using social media is to drive traffic to your website where people can discover your business and the services you provide. Create a tweet around a link to some great content on your website. If it is well written and interesting, people will stay and look around for more. If you have a call to action on your landing page or a contact form to complete so that people can stay in touch for future content, so much the better. Visual media is becoming more important for engagement and tweets with pictures or photos receive far more re-tweets than those without. It also makes your tweets more interesting and attention-grabbing. 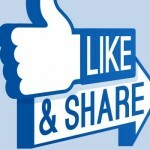 As well as images, consider sharing videos on Twitter. It could be a video from your YouTube channel or a Vine video, which although only 6 seconds long, can convey a simple message very clearly. It adds a bit of action to your timeline and attracts attention. Being able to access Twitter on-the-go is essential so that you don’t miss anything. Get the Twitter App to be able to perform nearly every Twitter activity on your phone that you can do on Twitter.com. Twitter is an immediate and responsive tool so you need to be able to react to your followers quickly. Lists on Twitter are incredibly useful. It’s hard to keep up with what people are saying all the time, especially if they are prolific tweeters. Make separate lists of the people you want to track such as specialists on a current topic, competitors, suppliers, particular types of businesses, etc. Once you have the lists set up, you can see tweets from the list members as a separate timeline on Twitter. It helps you to distinguish these people from the Twitter crowd and keep up with what they are saying. Hashtags help to group tweets together about a particular topic or theme. They are often used for conferences or events so that attendees can track conversations being held at the event. Finding and looking at hashtag topics can lead you to new people to follow who might be experts in that area. You can also create a hashtag for your own business to help people find your company. Twitter can connect you with people across the globe but it can also find you local businesses to talk to. Ensure that you add your location to Twitter and using advanced search, you can find people who are tweeting locally. You can then follow the ones of interest and start interacting with your local community. 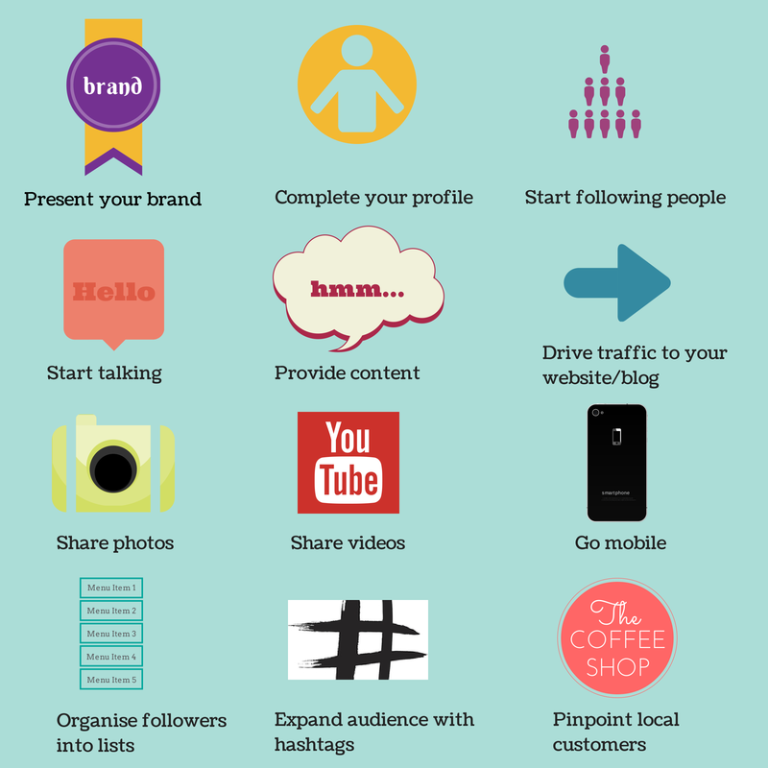 Twitter can bring valuable engagement for your business. It provides the ability to give and receive guidance on relevant topics and themes, brings you into conversations with experts and builds your reputation globally as well as with your local community. I can’t think of a better way to do business. Still friends with Facebook after 10 years? Apparently, I joined Facebook on 20 June 2007 according to a message they kindly sent me this week. 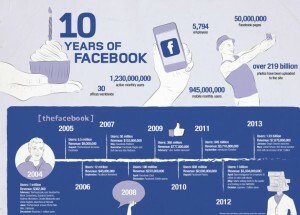 Yes, it’s 10 years this week since Facebook was born, so that means I have been a member for nearly 7 years. Facebook also sent me a cute little video where they have combined some of my photos, posts, comments and events to sum up the highlights of my 7 years with them. Clever stuff. I could get the huff about them invading my privacy but the video was intriguing, nostalgic and fun to watch. Since then, many of my friends have invited me to watch their Facebook videos too. This simple action has reminded people that Facebook is a great way to communicate and share stories – the basis of Facebook’s beginnings. This made me reflect back to why I joined Facebook in the first place and how it has changed over those 7 years. I joined mostly due to peer pressure. My friends were joining Facebook and getting excited about it. It wasn’t about accumulating ‘likes’ or measuring ‘reach’, it was about being nosy and seeing what people were up to in a totally new way. It was really the first time that people could quickly share events, news and pictures on one platform and invite comments and opinions. It was fun and exciting. I was cautious at first and resisted putting my picture online but soon got talked out of that. Everyone else did it (also makes it easier to link to the right person) so I had to. So, as a relatively early adopter but not a frequent user, I really discovered Facebook’s relevance to me in early 2008. I was going on a big trip to Antarctica followed by South America and there was no way I could get away without putting pictures up on my Facebook page for friends to follow my adventures. I enjoyed taking the photos, sharing my southern ocean stories and getting the responses. The second time Facebook came into its own for me was the following year when I relocated to the USA. A big new adventure on my own and the only way of keeping in touch was via email or expensive phone calls. Facebook saved the day again. I had instant support and ongoing news from my friends and family. I was able to share news and photos of my new life and it kept me connected. When I returned to the UK, I already knew what everyone was up to and where the welcome back party was being held. I now use and appreciate Facebook for keeping in touch with friends who live all over the world and having instant access to their adventures. So, a Facebook dabbler in 2007 and hooked by 2009. It hasn’t been all plain sailing and I have fallen in and out of love with Facebook during our relationship (privacy issues, annoying applications you have to remove or edit, introduction of the Timeline) but you cannot help but be impressed by the statistics. It’s been a mixed couple of years for Facebook as the world’s largest social media platform faced an array of challenges, from trying to establish how to monetise its mobile user base, to dealing with issues around inappropriate content, meanwhile fending off competition from the likes of upstart Snapchat and What’sApp. Daily active Facebook users in December 2013 averaged 757 million, up by 22 per cent, while mobile users were up by 49 per cent, with an average of 556 million for the same month. Monthly active users in December were 1.23 billion by the end of the year, up by 16 per cent, while mobile monthly users increased by 39 per cent to 945 million. The full-year revenue for 2013 was $7.87bn, up by 55 per cent, while total year sales and marketing revenue was $997m, up from $896m in 2012. I can’t think of any ‘bricks and mortar’ company that has had such exponential growth and success over 10 years. Facebook has changed the marketing rule book, revolutionising communications by providing a quick and easy way for people to share opinions and because it is open for the world to see it forces brands to take notice. Smart brands have embraced this and engage in open conversations, learning about what their fans are interested in and adapting their content to keep consumers entertained. My use of Facebook has changed over the 7 years I have been using it. I have broadened out my usage by having a ‘business’ (like) page for my consultancy and training work and keeping the personal page to engage with my friends. On the business side, I take Facebook quite seriously and find many of it’s tools useful for tracking the impact of what I write and who ‘likes’ me. It’s only one of the many social media tools that I use and there are plenty of competitors to Facebook eating away at it’s market share but I would never drop Facebook from my portfolio. Facebook is evolving as all mature businesses do and even though it is now asking us to pay for many of it’s services, used correctly, they are still cost effective as part of any marketing campaign. 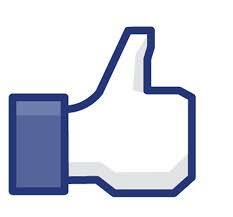 So Facebook, carry on, you still get the thumbs up from me.